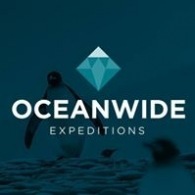 Average rating of 4.7 for all Oceanwide Expeditions trips. Visit Greenland National Museum which has a remarkable collection of Inuit mummies. A beautiful helicopter flight over huge blue icebergs and fast ice can also be made close to View Point in Duse Bay. Visit Devil Island and Vega Island with a large colony of Adélie Penguins and a magnificent view for those hikers who can make it to the top of the hill. Visit Gourdin Island, with three penguin species; Chinstrap, Gentoo and Adélie. Visit a haul out place of Walrus at Poolepynten if sea conditions allows, or at Sarstangen. Visit the greater region Kongsfjorden, Isfjord and Prins Karls Forland. Enjoy the availability of landing sites, encounters with wild animals (polar bears) on land, and the avalanche situation. See Arctic Fox and reindeer. See Humpback whales here as we approach Fish Islands for a Zodiac cruise and possible landing. See more Adélie penguins among the myriads of icebergs large and small. Enjoy even more Humpback whales.